Chicken meal helps to boost immune systems and build muscle! Whole ground brown rice is full of fiber to aid in digestion. Ground oats whole-grain source of carbohydrates and energy. 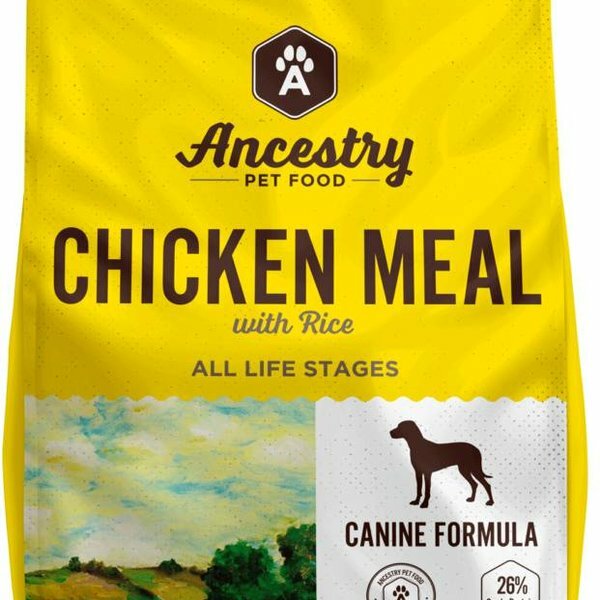 Ancestry Chicken Meal & Rice formula is a wholesome all-natural food that is made with carefully chosen ingredients like real chicken meal protein and whole-grain carbohydrates. 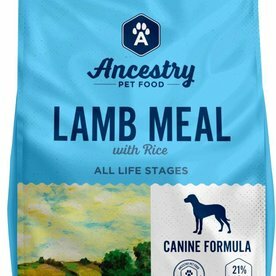 Clarified chicken fat and vitamin preservatives, all of your dog's favorites to make a meal that is high quality. This foo dis 91% more digestible, with all the nutrients your pup needs! This food is boosted with super-foods like sun-cured alfalfa meal, beet pulp and dried carrots!